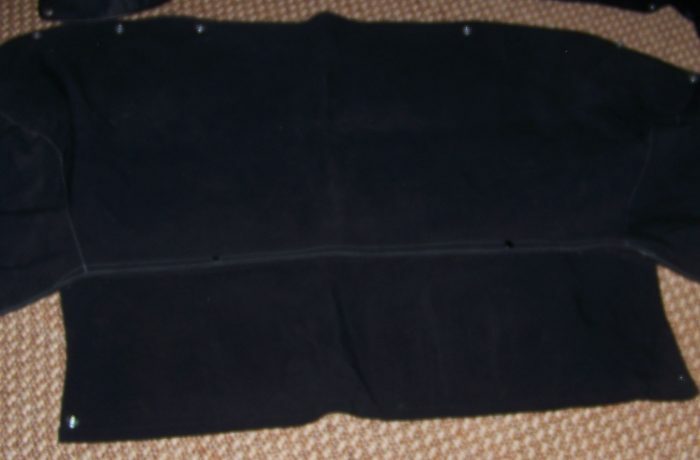 PORSCHE 356 CABRIOLET TONNEAU (BOOT) COVER, in Fine condition, all snaps work, cover is black cloth with tan liner. Tenax fasteners, all in fine condition. Fits over the "rag" top when down and then folds behind the seats. The are no identifying labels on it. It did fit nicely on our 356. Cover was rarely used and comes with storage bag.